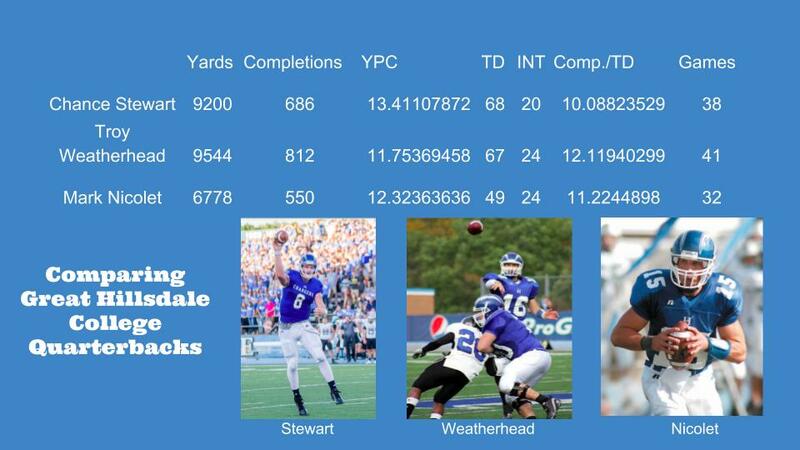 With his four passing touchdowns on Saturday Chance Stewart became the career leader for TD passes at Hillsdale College. His 68 is one more than Troy Weatherhead's 67. Stewart trails Weatherhead's all-time yards mark by 344 with one regular season game left. The Chargers do have a shot at the playoffs which would extend the window. Weatherhead played in three Division II playoff games in his career. Stewart currently has 2740 yards this season. The single-season mark is 3348 and was set by Weatherhead in 2009 when he played in 13 games. That is just 13 more than Mark Nicolet's 3335 recorded in 2007. If the Chargers can keep rolling, Stewart might have a chance to catch Weatherhead here as well. Hillsdale fans who sat on the visitors side of the field were among a gaggle of Tiffin fans. According to the Hillsdalians, the Tiffin folks were "amazed at the size of Charger QB Chance Stewart." One comment that was remembered, "Look at the size of the f#$%ker; he's huge." Cliche profanities aside, Stewart is huge at 6-foot, 6-inches tall and about 260 to 270 pounds. 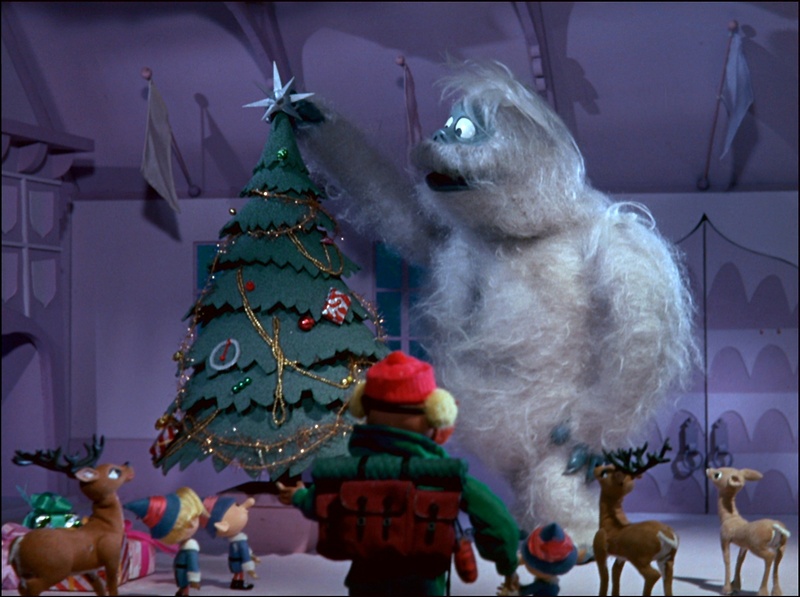 Yep, Chance is so big, the City of Hillsdale asks him to place the star on the community Christmas tree every year.